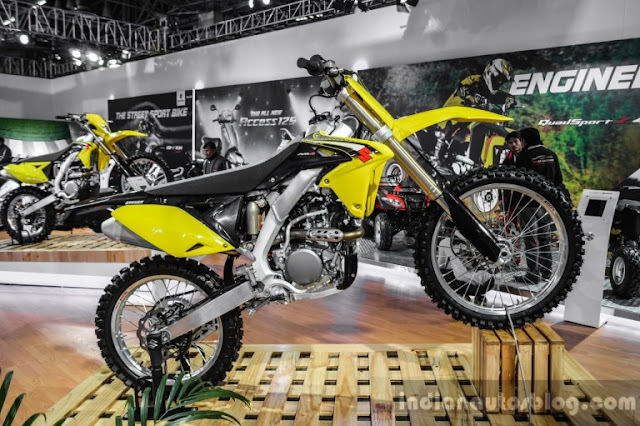 Suzuki Motorcycle India displayed the 2016 Suzuki RM-Z250 and the 2016 Suzuki RMX450Z at the Auto Expo 2016 in Greater Noida. The models are being considered for launch in the Indian market. 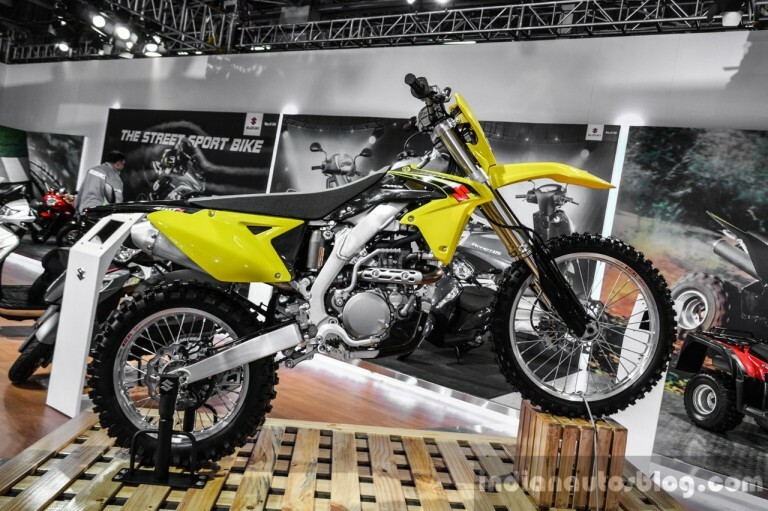 The 2016 model year upgrade for the Suzuki RM-Z250 has included the Suzuki Holeshot Assist Control (S-HAC), KYB PSF2 fork, KYB rear shock and a better engine in terms of refinement through 80 redesigned internal parts. The RM-Z250 is powered by a 249 cc four-stroke liquid-cooled single-cylinder engine with DOHC and Suzuki Fuel Injection, that is mated to a five-speed gearbox. 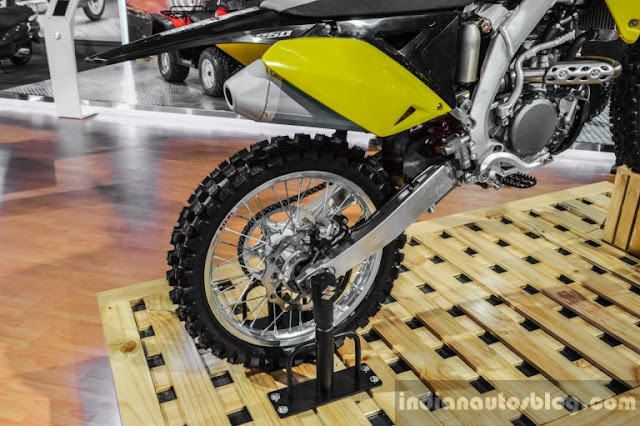 RThe dirt bike has 1,475 mm of wheelbase, 345 mm of ground clearance, 955 mm of seat height, 106 kg of kerb weight and 6.5 litres of fuel tank capacity. The salient features include an inverted telescopic fork with air spring and oil damper, a link type rear suspension with coil spring and oil damper, single rotor disc brake at the front and rear, a 80/100-21 51M tube type tyre at the front and a 110/90-19 62M tube type tyre at the rear. The Suzuki RMX450Z is powered by a 449 cc four-stroke liquid-cooled single-cylinder fuel-injected engine with DOHC that is paired with a five-speed gearbox. It is equipped with a fully adjustable 47 mm Showa inverted fork, a fully adjustable Showa rear shock absorber, 250 mm wave disc brake with Nissin twin-piston caliper upfront, and 240 mm wave disc with Nissin single-piston caliper at the rear. It has a wheelbase of 1,480 mm, seat height of 955 mm, fuel tank capacity of 6.2 litres and wet weight of 124 kg.